If your people struggle to keep track of the essential information for your day to day operations, we can help. If timely, accurate data is something that you currently are missing, we can help. If you are looking to attract new customers or retain existing ones, but aren’t sure how to accomplish it, we can help. A system to track your customers, sales, inventory or other information can radically improve your ability to make good business decisions. If you have good data, you can easily view it in a variety of ways in order to determine who owes you money, or to answer questions on what products or services are profitable. If your company is trying to grow, a website can promote you to the world. It helps with name recognition and can serve as an informational resource for your employees as well as customers. 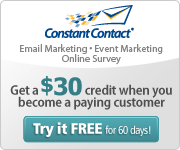 If you aren’t currently collecting email addresses from existing and potential customers, you should start. Email is a fabulous way to keep in contact with them. Have you worked with IT vendors in the past and you felt like they spoke another language? Did they tell you what work they were going to do for you, and what it would cost, up front? Did they do what they said? All of our development projects will always start with an assessment of your needs. We will document those needs and discuss them with you in detail, as well as provide an estimate on cost and timing, prior to starting the work. We will keep you informed of our progress and answer all of your questions. If you don’t understand something, please ask and we’ll be happy to explain it to you. Track customers, inventory, sales, billing, etc.